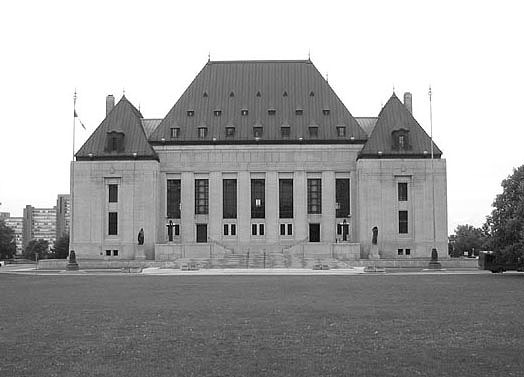 Canadian Supreme Court, where this case may be heading. A court challenge aimed at invalidating the First-Past-The-Post (FPTP) electoral system is now before the Quebec Appeals Court. It was launched in 2004 in response to the repeated failures of civic actions through political means. The case focuses on the two main components of the right to vote as defined by the Supreme Court: meaningful participation and significant representation. Both are systematically violated by the current FPTP voting system. The case will be heard in the Quebec appeals court on February 8, 2011 and could be before the Canadian Supreme Court before 2012. The plaintiffs are seeking financial support for legal fees.